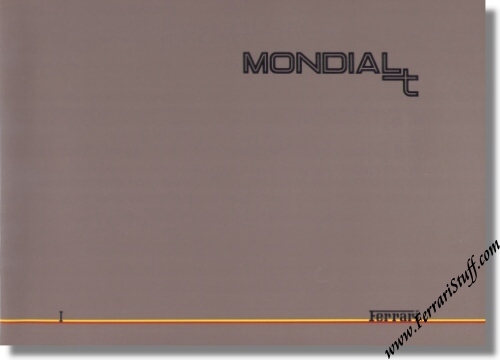 Ferrari Mondial T & Mondial T Cabriolet Press Kit / Media Pack. Official Ferrari Press Kit containing 16 pages with back pocket, 12 x 8.25 inches. 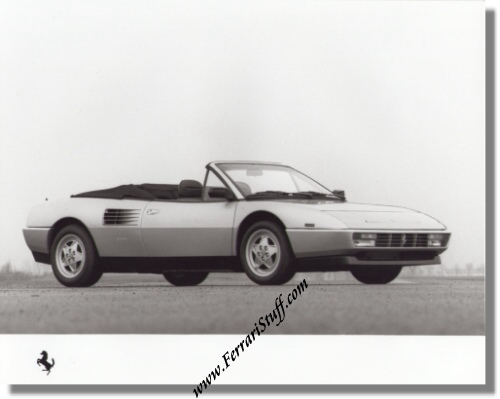 Includes 4 large format ( 9 x 7.5 inches) B&W press photos (2 of the Coupe, 2 of the Cabriolet). Ferrari Print # 545/89 3M/03/89, issued in 1989, printed in March 1989, by Puntografico in Italy.